Back in 2015, startup relayr won the CODE_n Award at CeBIT in Hannover with a flagship product called WunderBar, an IoT Starter Kit for product developers that enabled fast and simple development of applications for the Internet of Things (rapid-prototyping). Obviously, a lot has changed since then and there have been many exciting developments within the company that registered an extremely rapid growth over the last four years, culminating in the acquisition of the Berlin-based startup by German insurance giant Munich Re in September 2018. It was a pleasure to speak again with relayr co-founder, Jackson Bond, who took us through the company’s trajectory and most recent key milestones.Iulia: Hi Jackson! 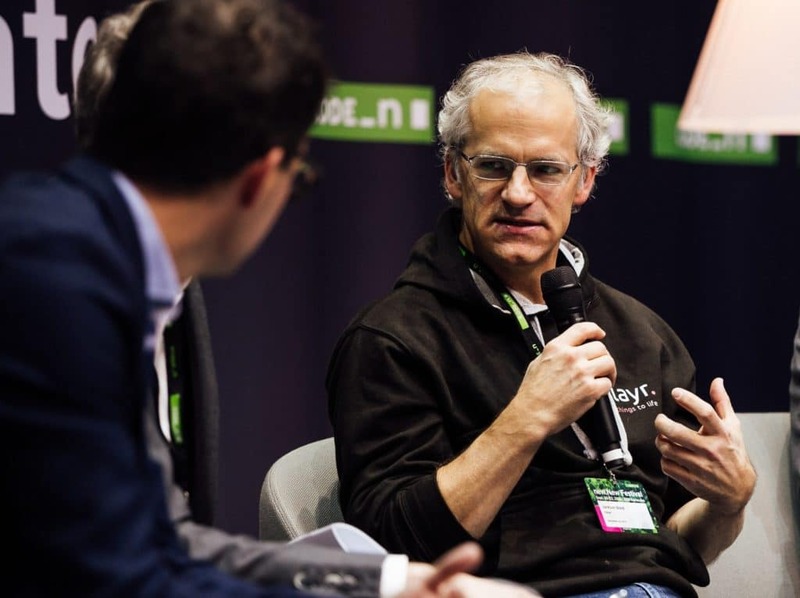 What have been the most important milestones of relayr since March 2015 when you won the CODE_n Award Show?Jackson: The first important milestone came during and after the CODE_n CONTEST competition, with our seed investor, Josef Brunner becoming the CEO of the company. Josef focused on building, strengthening and selling the B2B enterprise solutions to corporates. The developer tools we had built brought traction to our platform, and a strong reputation, but monetization was still a long way off. Josef had built a similar platform before and knew how challenging it was to sell B2B solutions into an early market, which is why it was so important to start as soon as possible. The pivot to B2B did not happen overnight. It took over a year to ramp up a sales team and win our first customers. The second big milestone was accomplished in November 2015, when relayr successfully closed a Series-A financing round, the primary investor being Kleiner Perkins Caufield & Byers. Kleiner Perkins Caufield & Byers is a “granddaddy” of Silicon Valley, and arguably one of the top VC firms in the world. They were early investors in the biggest companies in the world: AOL, Google, Amazon, Netscape, Sun Microsystems, Compaq, to name a few. So, more than the money, this really put us on the map globally, with an incredible stamp of credibility. 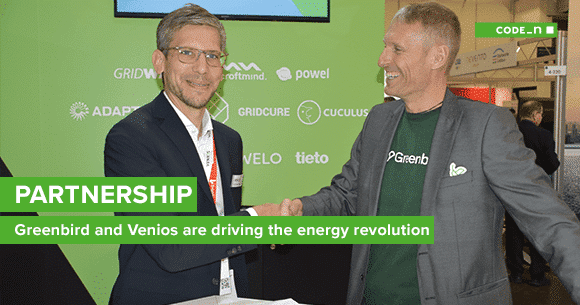 It certainly helped that CODE_n and CeBIT had previously also given us a local stamp of credibility, through its enterprise partners and sponsors, such as GFT, TRUMPF, Accenture, and SAP. With Kleiner on our board, we received guidance and focused even further on the industrial segment within B2B, which we started to execute in 2016. And finally, our Series B round, through the world’s biggest re-insurance company, Munich Re, was the third key milestone. Munich Re heavily complemented our industrial focus with their subsidiary Hartford Steam Boiler, a direct insurance company for Industrial Equipment and Processes. The rest is history. Iulia: You’ve seen the company grow from three founders to more than 200 employees at its Berlin headquarters and offices in seven other cities. What are, in your opinion, the key ingredients of relayr’s success story?Jackson: From my perspective, and not necessarily in this order, some key ingredients are: sales-focus, adaptability, open communication in the team, fast decision-making, customers’ business success, hiring smarter. That means everyone in the company needs to be thinking not about themselves, but about the market and the customers, and the customers’ customers, what makes them successful, and how to apply technology to achieve that. You have to notice “technology” is only the enabler, but not the focus. Secondly, adaptability is key, especially in a highly accelerated and dynamic market full of surprises and competitors. It is the synthesis of ideas within a team and from external sources, challenging each other and communicating, that drives the most successful path. And this can change every day on a micro level. Out of this synthesis you need to make decisions based on trust in your own sources. They may not be the best decisions, but they are the best possible decisions to advance. And finally, always hire people who are smarter than you, who add value, rather than those who simply carry out orders. Not challenging your boss can have a negative impact on the company. 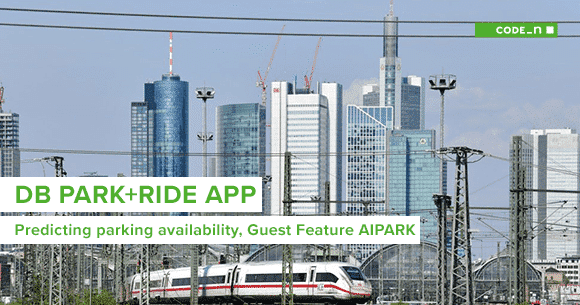 Iulia: How did CODE_n contribute to your success story? Jackson: CODE_n put us on the map at the right time in our growth trajectory and brought us an audience of influencers in industry and an enterprise credibility we did not have before that; not to mention it significantly raised our profile to investors. 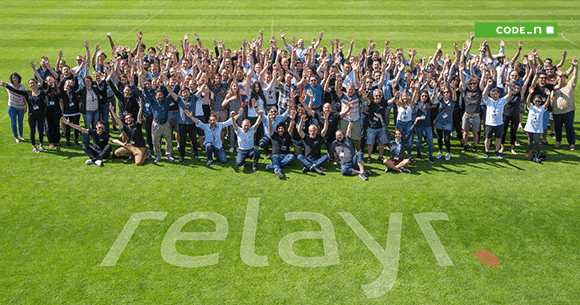 Iulia: You’ve actually built a global community and have always been a great supporter of creating a diverse and inclusive workplace at relayr. Where does relayr’s IoT talent come from? Can you tell us more about the company’s culture and values?Jackson: Culture is critical to us and to keep a team moving in unison. But I have personally found that it is challenging to establish a company culture in a high-growth, dynamic environment, with a distributed team across seven countries, where unique talent in the Industrial IoT space is highly sought after. We continue to improve this and build an organizational culture and are lucky to have a lot of extremely talented team players motivated to contribute to our mission. We have been lucky to hire and keep a growing core of senior leaders who act as cultural anchors across the company and different business units. We have employees from over 30 nationalities from 5 continents across 12 cities. We bring the entire team together once a year in one location for a company summit to openly share ideas, present achievements and have fun. The local branches all celebrate their own team events on a regular basis throughout the year. We are always searching for new talent. If you want to learn more about our culture and open positions, please check out our website. Iulia: Over the years, relayr expanded its core activities, but remained an IoT middleware platform. Has the company’s vision changed since you started? What about the technologies that relayr develops?Jackson: Firstly, I should say, the core of our messaging and our go-to-market strategy have changed drastically, from technology-driven to business-driven. Our success is based on our attention to the business outcomes of our customers. We don’t lead with technology. Today we rarely start with the CIO of a prospective customer, but rather with the CEO, the business owners, who are trying to transform their companies, striving to understand what success means for that CEO, rather than helping map out an execution plan using technology. That said, the vision of an inter-operable cloud data enablement platform has remained constant. Our target customers have changed from developers, needing tools, to industrial manufacturers, needing solutions. We completely abandoned our early hardware initiatives in 2013-14, to focus only on the software, and we are instead partnering with hardware providers. We realized customers need help all along the so-called “data journey” from inception of data on the machine, to the algorithmic-based insights derived from that machine data. 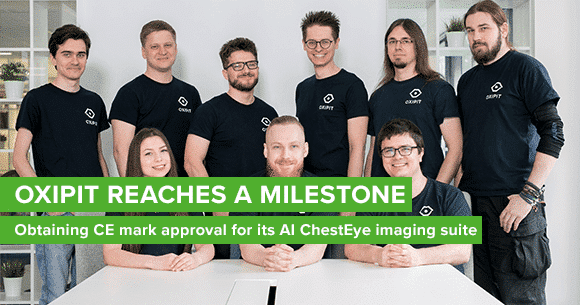 And so, to complete that technology stack, we acquired two companies in 2017, a mature device management software at the machine level, and an AI/Machine Learning data analyst software company, so we could become an end-to-end data platform. Iulia: Relayr was acquired by Munich Re in September. What has changed since then and what stays the same?Jackson: So far nothing has changed, which was part of the deal. Munich Re is interested in keeping relayr a separate entity, with the same management, the same team, and will not risk trying to integrate it, or swallowing it up into oblivion. They are proud of our agility and successes and want to build on it while continuing to invest aggressively into this future. Iulia: All startups face challenges, whether that is at the very beginning when establishing their businesses or later to stay the course. What were the biggest challenges that relayr had to overcome in order to thrive? Jackson: The biggest challenge, but also our biggest success has been around pivoting to a sales-driven, business-outcome lead, with a focus on industrial solutions, scaling the business to meet these market needs, and then growing the team with the right skill sets to match the rapidly maturing stages of our company. Iulia: Last, but not least, could you give us a few examples of some exciting projects or use cases that relayr is currently working on?Jackson: The area we are most excited about, with the largest scalable potential, is Equipment-as-a-Service, a trend that is impacting all industries. You’ve probably heard of Software-as-a-Service. Now Industrial IoT is enabling Machines-as-a-Service, or Power-by-the-Hour, consumption-based business models, where the end customer operating the equipment no longer buys it on a one-time CAPEX basis, and then buys a service contract, but rather as pure OPEX (operational expense), or basically as a monthly service, with everything included. Now that the cost of data-storage, data-collection, CPU-power, connectivity, are all nearly commoditized, any company small and large can start processing and analyzing the data coming off their installed base of machines they manufacture. That data can be used both internally to improve the next generations of their products, but also as a business model, selling uptime guarantees to their customers, based on real-time visibility into machine performance. And because you see how your customer is operating your machine, you can advise how best to operate it, thereby eliminating warranty claims, and customer care complaints. The machine maker can leverage that data into a predictive state, eliminating unplanned downtimes, and increasing performance transparency toward their customers. We have machine manufacturing customers that make machines for mining, coal power production, power generation turbines, coffee machines, aluminium heat treatment, elevators, robots, locomotives, wire making machines, packaging machines, paper machines, air compressors, and the list goes on. 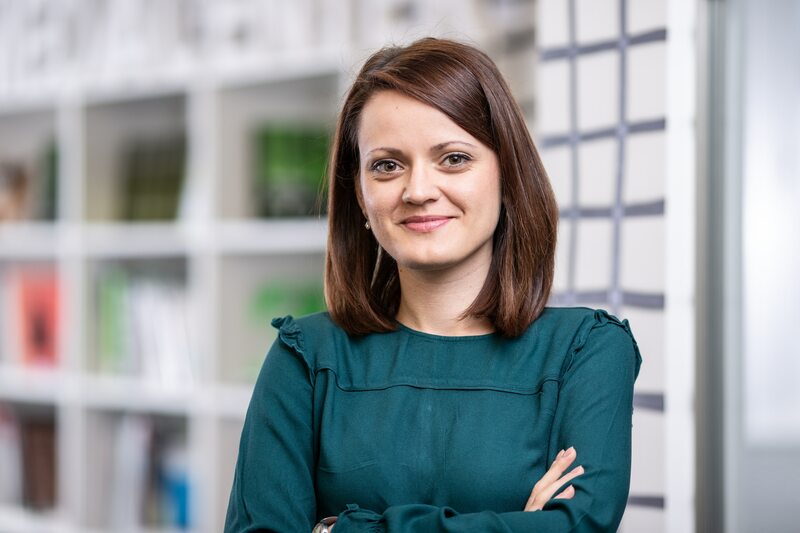 Iulia: The IoT industry is definitely a fast-paced environment and it seems that relayr has everything it needs to thrive and guide other companies on their digitalization journey. Thank you very much, Jackson for all these insights! CODE_n wishes you and your team continued success and sustainable growth! A keen writer, Iulia is passionate about generating media waves through brand storytelling. Curious and hungry for innovation and digital trends, she relishes creating stories, pitching thought leadership ideas, interviewing and animating the CODE_n community on all social media channels.